In 2015 I qualified for SPG Lifetime Platinum status by completing 500 nights in Starwood hotels since 1999 and achieving 10 years of Platinum status. Lifetime Platinum means that as long as I have any SPG activity in a year, including credit card spend, I retain Platinum status without meeting the 25-stay or 50-night requirement. The Lifetime Platinum credentials include a map that purports to show all stays since 1999 that counted toward Lifetime Platinum status. They missed a few like Hotel National in Moscow and Hotel Pulitzer in Amsterdam. and others. Perhaps those hotels are no longer Starwood properties. Platinum status gives me an upgrade to the best available room at check in, including standard suites, free internet, free breakfast, a welcome gift, club lounge access with evening appetizers and free drinks, and 4 p.m. late checkout if available. Of course you must book a stay to get these benefits so they aren’t exactly free unless you are using points. 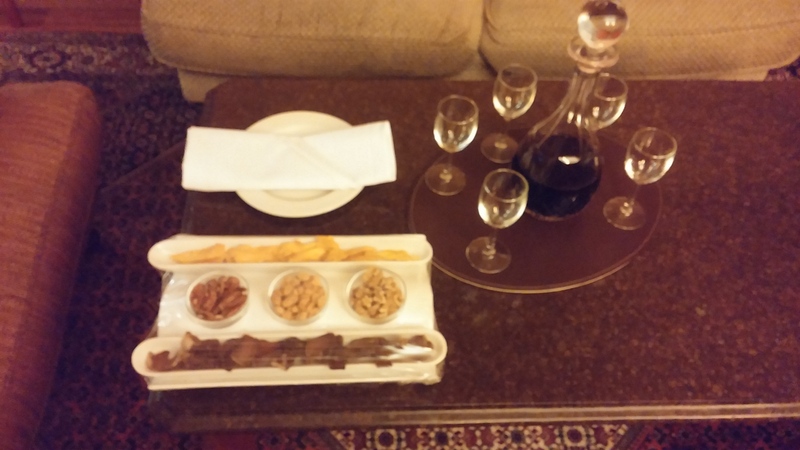 Nevertheless, the value goes along way to deferring the cost of the stay. I would never pay for a suite at any of these hotels. So saving a couple of hundred dollars per night to enjoy a suite has great value for me. Plus with the breakfast buffets and evening hors d’oeuvres that include soup, salad and desserts, many days that is all I eat. 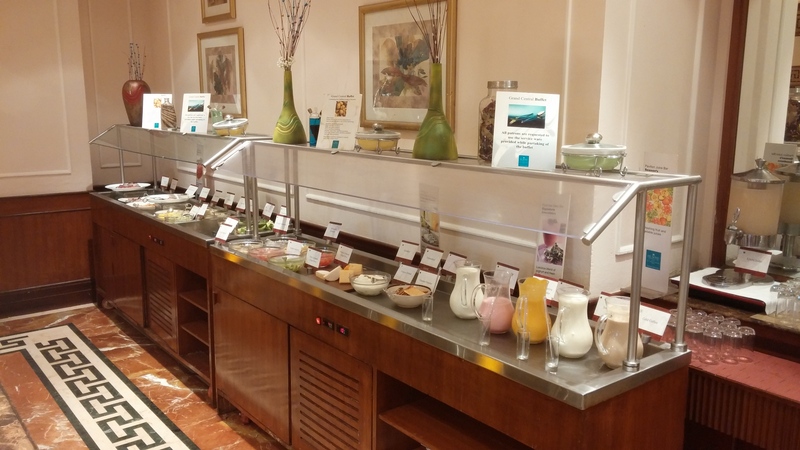 If I paid for the breakfast buffets and evening drinks and snacks, it could easily run over $50 per day. Double that if I have a guest. Lifetime Platinums must still stay 50 nights in a year to qualify for SPG50 benefits (a choice of benefits including 10 Suite Night Awards, 75 nights to get SPG75 benefits, and 100 nights to achieve Ambassador benefits. Fortunately nights booked with SPG points or on cash-and-points awards count toward the stay requirement. Also by having the SPG Amex personacl and busines credit cards I automatically receive credit for five nights and two stays each year. SPG75 benefits are important for me to get the extra Starpoint giving me six SPG points per dollar spent at Starwood hotels (3points for platinum status, one point for SPG 75 status, and 2 points for using the SPG Amex credit card for paying for the stay) and the ability to use the Your24 option. Your24 is a great benefit as it often allows me to save paying for an extra night with cash or dollars when I have a red-eye arrival. Many of my flights to Asia or South America arrive very late at night or very early in the morning. 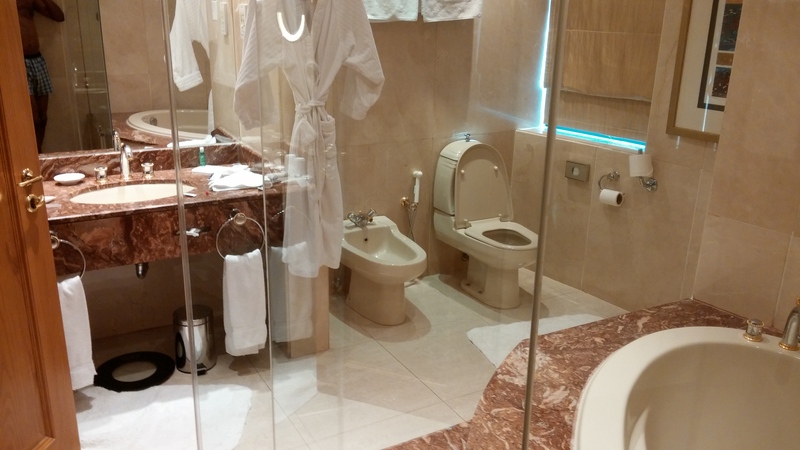 To have a hotel room ready when I arrive would require booking a room for the day before. With Your24 I can specify a check-in time of 1 a.m., for example, so I don’t make a reservation and pay for the day before. Check out is stated as the same time as check in, but as a Platinum, on the day of departure I can get a late check out for 4 p.m. or later sometimes, if necessary. SPG points are probably the most valuable points or miles to earn. They are valued at 2.2 cents each by the folks who calculate such things. When converting SPG points to airline miles with SPG partners you get 25,000 airline miles for every 20,000 points converted. Currently, AA is running a promotion where you can get 30,000 American Airlines miles for every 20,000 SPG points converted. There is a special promotion right now offering 30,000 SPG points for signing up for the SPG Amex personal card and 30,000 points for signing up for the SPG Amex business card. Normally these bonuses are 25,000 points each. Plus with Crossover Rewards, an alliance between Starwood and Delta Airlines, each dollar spent at Starwood hotels that earns a Starpoint also earns one mile on Delta, and each dollar spent on DL that earns a DL mile also earns a Starpoint. Another reason I love being Lifetime Platinum and collecting mega SPG points is those points allow me to get ff tickets on airlines I don’t fly. 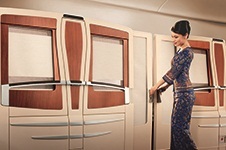 Singapore Airlines (SQ) and Korean Air are both SPG transfer partners. 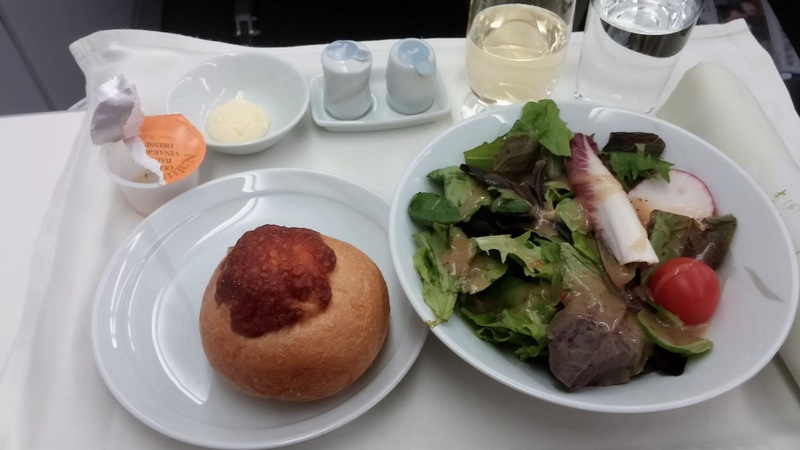 You can use Delta miles to get KE award tickets but not in first class only business class. 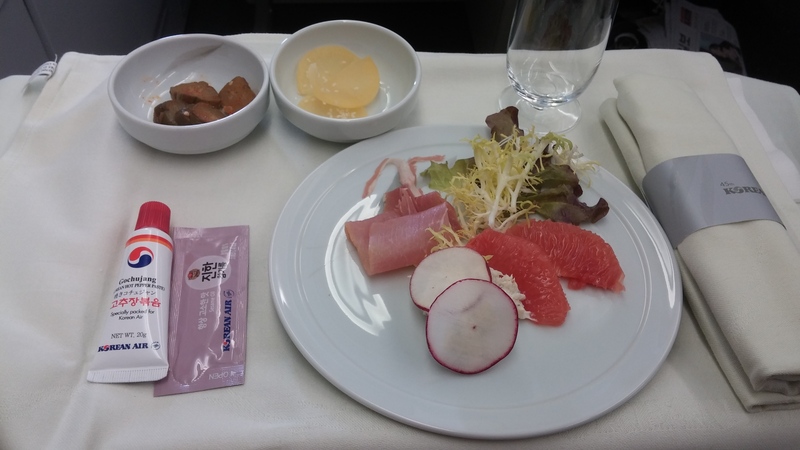 Singapore Airlines first-class awards are very restricted when using miles from their partner airlines to book award travel. By transferring SPG points to miles in my Korean Air and Singapore Airlines accounts I can book Korean Air first class and have greater access to first- and business-class seats on Singapore Airlines. I have flown KE business class many times. It is a very solid product with lie-flat seats and great entertainment options on the personal video. KE busines-class seating configuration is usually 2-2-2 or 2-3-2 so there is no direct aisle access for all seats. 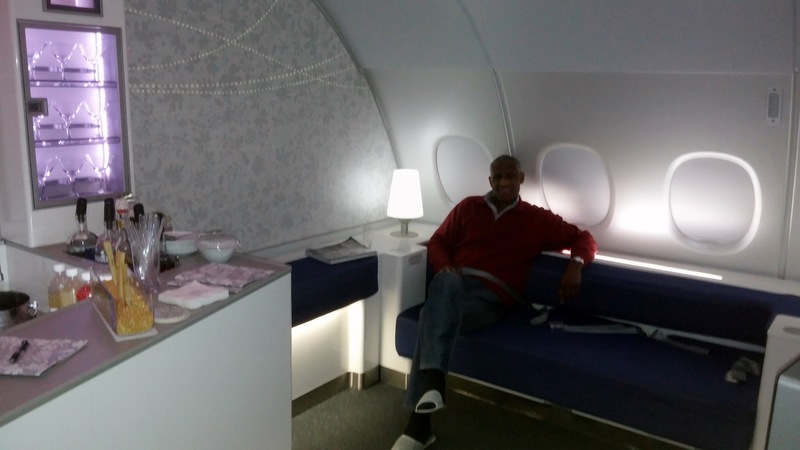 But KE has more first-class seats on intra-Asia flights than just about any other carrier. 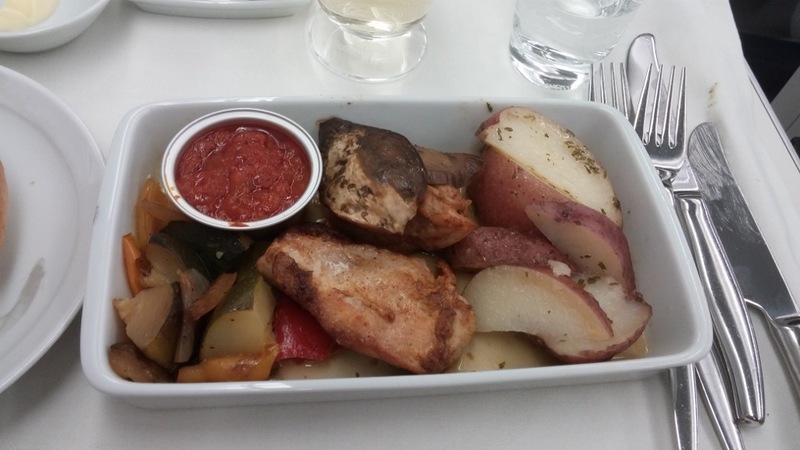 The KE business-class meals are great. Ke has won awards for its Korean bibimbap. KE business class on the A380 includes the lounge where you can relax with fellow travelers and enjoy specialty cocktails. The 60,000 SPG points available just for signing up for the SPG credit cards is more than enough for a free one-way, first-class ticket on KE or SQ. I’m looking forward to using my SPG points to fly first class on KE and SQ next year.